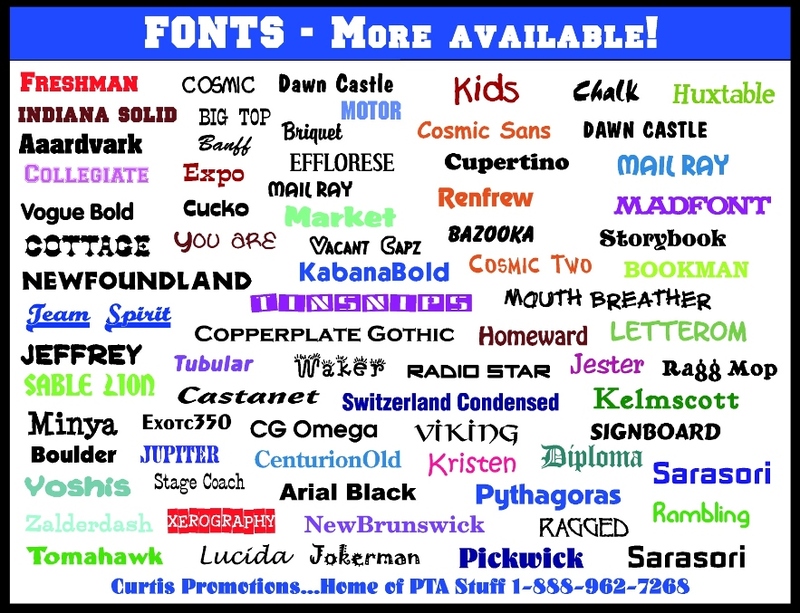 Here are some suggested fonts that we can print on most School Spirit Products. We try to match up your School Mascot with a typestyle that goes with it, but if you have a preference, please let us know. Many more fonts are available. We can provide you with an artproof for free. Please request it on your order.